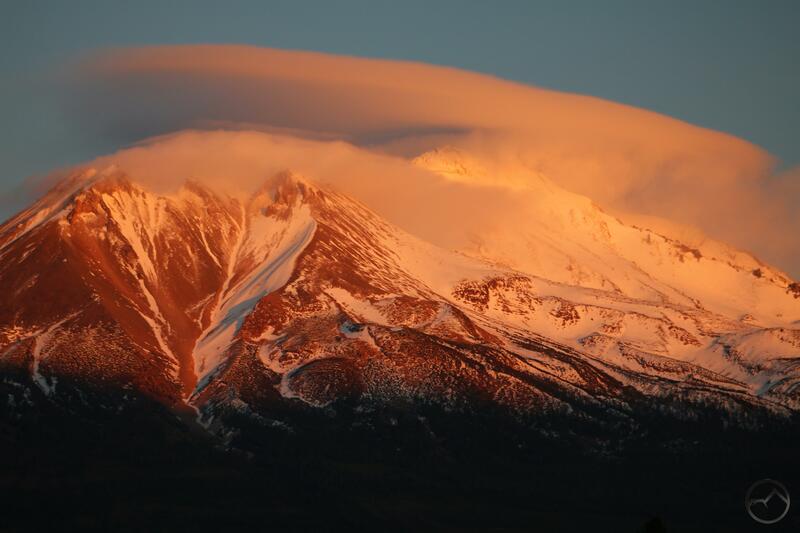 Mount Shasta and a lenticular cloud are light in alpenglow. After a dreary, overcast day yesterday, Mount Shasta was graced with a sunny, windy, chilly day and a swirling lenticular cloud above the mountain. I failed to photograph it a couple of times during the day, as I was one of the leaders taking our local Cub Scout Pack on a hike down in Castella, on the excellent Sacramento River Trail. That trail is perfectly proportioned for Cub Scouts: easy length, interesting trail engineering, lots of rocks to climb on, a beautiful river and an exciting crossing of the Sacramento on a suspension bridge! 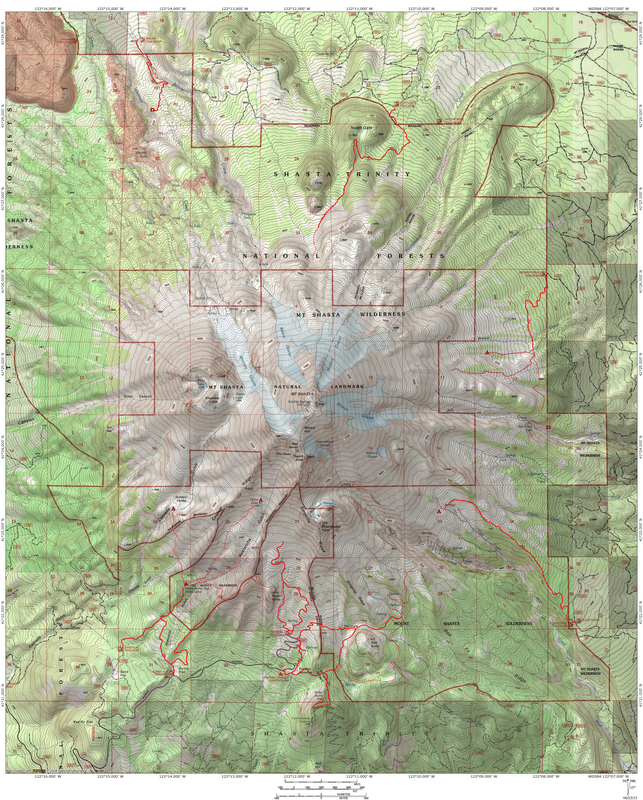 I have always hoped this trail would eventually be incorporated into the Pacific Crest Trail. It has a much more interesting and intimate relationship with the Sacramento than the current route, which just crosses the river on a road. Since I was busy and did not pause long enough to get a satisfactory image of the lenticular, a made sure to head out at sunset to capture it. It is striking (though not surprising) how much the cloud changed during the day. By the time I was able to head out, the cloud had gone from a nice pancake stack covering the higher reaches of the mountain, it had risen up and hung just above the summit. I went to one of my favorite quick-access spots and set my camera up. Along with the epic view of Mount Shasta, this particular spot has a nice view of Black Butte. The final bits of sunlight on the summit of the butte can be seen, alerting an observer to the fact that alpenglow is about to drench the great mountain. It was a grand sight, which I enjoyed from behind my tripod. As I did, my two older kids, seemingly oblivious to the spectacle, played happily in the nearby brush. We are definitely in the thick of the lenticular season. I hope we get more as we head toward Christmas. Even if this was the last one of the year, I am grateful to have watched the sun set on it!